Market transformation for solar energy systems is gaining increasing importance as we move through the second decade of green building practice (using the formation of the USGBC in 1993 as a starting point). Recent project experience illustrates the opportunities and challenges facing marketers for solar energy products and systems in commercial and institutional projects. The US Navy in San Diego installed one of the largest systems for a commercial or institutional setting, with a nearly 1-megawatt (peak rating) system, as shown in Figure 7.3. The PV system also serves as the canopy for a carport, used for long-term parking of vehicles. ► 7.3 The 924-kilowatt PV system installed by PowerLight on the carport at the US Naval Base in Coronado, California generates enough energy during the day to power over 935 homes. Courtesy of SunPower Corporation. In May of 2004, I conducted a proprietary survey of nearly 1,000 building industry professionals in my professional database, using a web-based survey tool and a 20-question survey instrument. I eventually received 223 responses or about 22 percent of the total surveyed population. Survey participants came from a range of disciplines and occupations, including 47 percent architects, and 22 percent other design team members (typically engineers) and contractors. So, about two-thirds of survey respondents were directly involved in building design and construction. At that time, 18 percent had already completed a LEED-certified project, and 25 percent were designing or building a LEED-registered project. Another 31 percent were doing projects with sustainability goals (but not LEED registered). Survey participants who decided not to go ahead with a solar project overwhelmingly (55 percent) said cost was too high and (52 percent) the payback period was too long. The plain fact is that most solar applications (even in the sunny Southwest) cannot compete with other building energy-efficiency measures that have a much higher economic return. Less than 10 percent said that they didn't have proper solar exposure or that there were design considerations that prevented the use of solar. Since a 100-kilowatt solar system costing $600,000 or so to install (without considering tax incentives or rebates) will produce less than 200,000 kilowatt hour of electricity per year in most US locations (valued at $12,000-30,000 in most utility service areas), it is not surprising that cost is the major barrier to more widespread solar adoption. To reduce barriers, survey respondents wanted mostly independent, reliable cost information and good performance data, and gave less weight to case studies and visible local projects. In their comments under "other" reasons, many of our survey respondents focused on the need for financial incentives (to cut initial cost), a receptive client insistent on using PV or solar thermal (perhaps because it is so visible and most people would recognize a solar power system without being told) and perhaps dramatic increases in local electric utility rates (an unlikely repeat of the contrived electric power "crisis" in the summer of 2000 and 2001). While the return on investment (ROI) for solar projects may be fairly good for private owners in some states, the intangible PR benefits of a visible green building measure are also significant. At this time, LEED has gained 10 percent or more of the institutional market for new buildings but scarcely 3 to 5 percent of the corporate market. So, for the private-sector market, the clients can be described as innovators and for the public buildings market and the client base is more likely of the early adopter category. 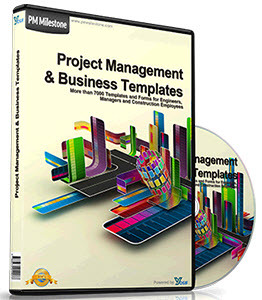 Even in the public-buildings client base, many project managers who supervise large projects could be characterized as early to late majority. They require strong mandates from upper management to promote sustainable design projects or expensive solar systems, especially since most building projects have constrained budgets. Anecdotal evidence of overall benefits favors solar power, but it has not filtered yet into the general marketplace enough to overcome perceived cost hurdles. Since most green building markets are project based, it may take some time for perceived benefits to find appropriate projects, for a fuller implementation. Oftentimes, adoption of innovation is incomplete. For example, when a technology is desired (in the way of desired outcomes such as LEED certification or PV use) but not deployed into general use; this phenomenon has been called the "acquisition gap" and has been found in a number of technology diffusion studies. In one study, the authors claim that "knowledge barriers impede deployment. "18 Therefore, green building marketers interested in promoting solar in their projects would do well to spend time educating the client on the multiple benefits of such systems, preferably early in the design process. In the light of the current state of the solar power market, the survey respondents' desires for more independent cost and performance evaluations of solar power systems are critical for gaining credibility and overcoming perceived barriers. In my own professional experience, the expectation of real benefits has to exceed the likelihood of increased costs by 25 percent or more (I call this immodestly, "Yudelson's Law of New Technology Adoption") to change most decisions in favor of new technologies or methods. As a technology or approach such as LEED moves into the mainstream, it is more likely to meet with this type of resistance. Many studies of the psychology of decision-making have shown that consumers and clients are likely to resist change unless they perceive the "downside" risk to be heavily outweighed by a well perceived "upside" benefit (see Introduction). The installation of solar PV in grid-connected commercial and industrial applications in 2003 was about 32,000 kilowatts (32 megawatts), valued at about $256 million (at $8,000 per installed kilowatt) and representing nearly 50 percent of the total US installed solar power that year. Installed solar PV applications in distributed grid-connected applications have grown nearly 600 percent since 2000 and exceeded 60,000 kilowatts (60 megawatts) in 2005, possibly reaching 80 megawatts.19 In 2006, solar installations increased 33 percent, to a total of about 140 megawatts in the US.20 In 2007, installations are expected to increase another 20 percent, according to the leading solar industry asso-ciation.21 Leading PV incentive programs in 2007 were found in the states of Oregon, Washington, Nevada, California, New Jersey, Florida, New York, North Carolina and New Mexico. This rapid growth augurs well for PV applications in commercial, institutional and industrial buildings, as costs are coming down and experience with designing and specifying the technology is growing. Table 7.4 shows the many reasons to install solar power in buildings, beyond just the economic benefits, profiled in the following section. 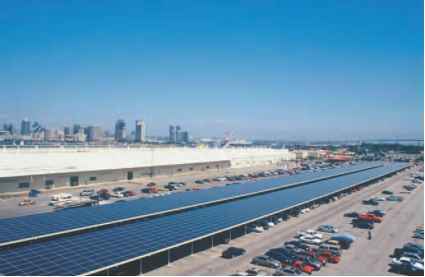 To be honest, there is no compelling economic case for including solar energy systems in commercial and institutional projects, such as there is for energy-efficiency measures, daylighting, passive solar design and similar measures. However, as shown in Table 7.5, there are a number of economic and financial incentives for private-sector owners that could tip the balance in favor of solar power systems. Let's take a look at the economics of solar power, for projects that will be built in the US in 2007 and 2008, using the analysis in Table 7.6. One could conclude that right now, in Oregon, California, New York and other states with generous PV incentives, there is reasonable economic case for private-sector projects to consider using solar electric technology, if one thinks of it as equivalent to an inflation-protected 20-year bond. Note that the ROI is based on current power prices; the actual economic benefits might be greater if peak power prices are much higher, if base power prices are higher than $0.10 per kilowatt hour, and might be much less if annual maintenance costs are significant! Reprinted with special permission from Building Design+Construction. Copyright 2007 Reed Business Information. All rights reserved. other incentives may vary. Federal depreciation credits may also apply for profit-making entities. Reprinted with special permission from Building Deslgn+Construction. Copyright 2007 Reed Business Information. All rights reserved. require totally different marketing approaches and communications channels. For solar power systems, we would argue that they need to be packaged in standard modules, not requiring any advanced design engineering, representing more of a "plug and play" solution. For commercial systems, this might include putting inverters and all other electronics on the roof of a building, with simple connections to the building's electric power system or even directly running DC lamps and other related equipment from the PV system (to reduce efficiency losses through inverters converting DC power output to AC power). 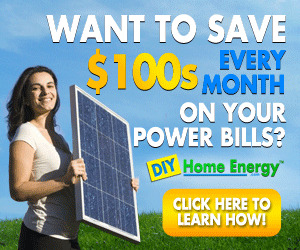 The emotional appeal of widespread solar energy adoption in American homes and businesses might be an unexpected consequence of the current war in Iraq and the resurgence of oil prices to $60 per barrel in 2007, if the American public finally wakes up to the true costs of the current energy dependence on oil imports and determines for the first time in 25 years to do something about it. (Witness the considerable consumer demand for hybrid autos, beginning in 2003.) Solar power solutions are well positioned to take advantage of these trends. As a state official, lobbyist and marketer, I watched and participated in the diffusion of residential solar water heating technology in California from the period of 1977 through 1985. In spite of awesome tax and energy saving advantages and a relatively simple technology, it was not until major sales organizations became involved that technology adoption accelerated. In other words, most people were not picking up the phone and trying to buy a solar water heater; they were waiting to be sold. Imagine the automobile industry succeeding without sales-oriented local dealerships. The difference is critical: in most surveys I've seen and conducted, building owners are waiting for someone else to take the lead in green buildings. 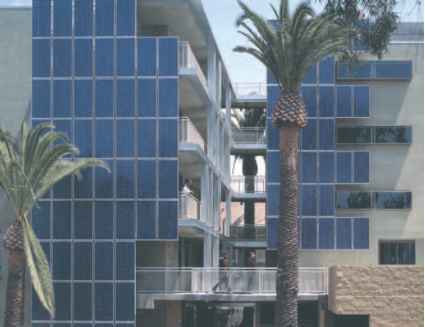 It was not until in 2003 that architects began to recognize that building-integrated PV systems, for example, can be part of a significant architectural statement, with projects such as Colorado Court, in the Los Angeles area, a $4.2 million, 30,000 square foot (2,750 sqm) low-income apartment project, which won a National Architectural Award for a five-story high wall of 200 PV panels.23 Designed by the firm of Pugh + Scarpa, the south wall of the building uses PV for both energy production and visual appeal, as shown in Figure 7.4. 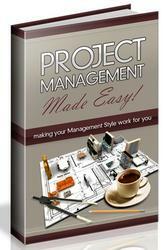 • Case study data, with solid cost information, including initial cost increases. This means widely publicized data, by region, based on actual project costs. ► 7.4 Designed Pugh+ Scarpa Architects, the LEED Gold-certified Colorado Court provides affordable housing for low-income residents in Santa Monica. Courtesy of Pugh+Scarpa Architects. • Comparative cost information within and across building types, as to the full costs of solar power applications, the resulting benefits and ancillary features such as public education. Solid, measured performance data, in the field, will also be as necessary as cost data, to encourage trial by early adopters. 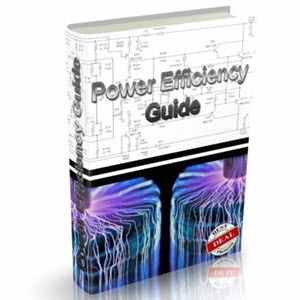 • Demonstrable information on the benefits of solar power systems beyond well-documented operating cost savings from energy conservation. Such benefits might include better public relations, more newspaper and media articles (yes, large PV systems are still novel in most areas) and more responsiveness to stakeholders (such as "walking the talk" for a firm committed to sustainable practices). • Personal stories, by both practitioners and building owners, about the costs and barriers to completing projects with solar energy systems/applications. While most of the people in our survey were satisfied with their solar applications, 15 percent said the PV systems were not performing up to expectations, and 27 percent didn't know. • Stronger use of multimedia approaches and other modern sales tools, to increase the emotional bonding with solar goals and methods on the part of stakeholders and final decision-makers. One of the tactics I have explored with several clients is to sell the PV panels, one by one, in the manner of theater seats, to local stakeholders. This might work especially well for schools and nonprofits, which often seek ways to bond the community to their projects. For example, a local utility (electric or water) could charge $5 per month for 5 years ($300 total), enough for a family to buy a PV panel for a school or public project. • They must pick a strategy that incorporates either high levels of differentiation or low cost, with explicit focus on particular market segments receptive to solar power. • This strategy must be reinforced to become recognizable as a brand identity of the firm and its specific products or services. Internal reinforcement includes training, certification and reputation as solar experts; external reinforcement includes speaking, publishing and getting publicity for successful solar projects. • Companies should consider developing their own proprietary tools, as part of a branding approach. Firms should also develop methods to execute solar projects with modest additional design fees and to utilize all available state, federal and utility incentives for solar power applications. • Architects and engineers must form closer working alliances with contractors and other project professionals to ensure that their solar power designs can actually get built within prevailing project budget, time, technology, expertise and resource constraints. • Designers should look for opportunities to level the playing field for solar power by incorporating building-integrated PV (BIPV) into the next project they design; BIPV systems substantially change the economics of solar power by offsetting some of the building's expensive "skin" costs ($60 to $100 per square foot) with solar panels costing $50 to $100 per square foot. They also offer a wide range of colors and esthetic possibilities in building design that would make the energy production a bonus feature instead of an essential requirement. In this approach, payback, in terms of energy savings, may become relatively unimportant, but widespread tax and other financial incentives may become more important.